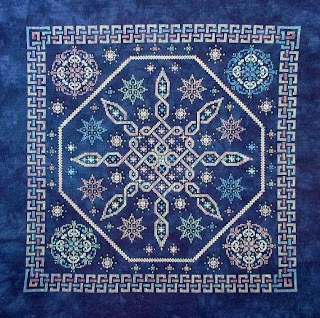 Celtic Snow uses 7 colours of Dinky Dyes Silk Floss, 3 colours of Delica Beads, and 1 colour of Swarovski Crystal bicones. As always, a DMC/Mill Hill conversion is provided. 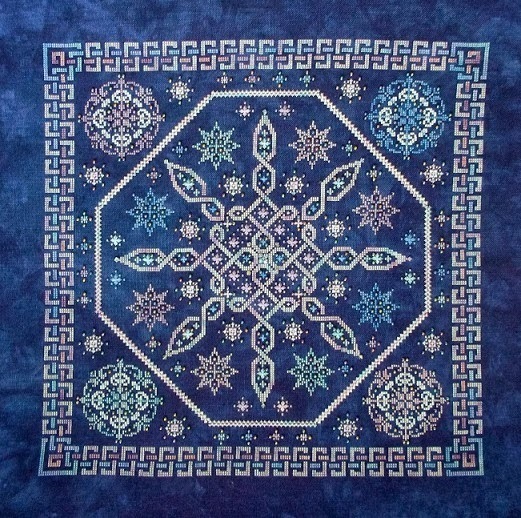 The fabric used in the model is from Hand Dyed Fabrics by Stephanie, called Midnight Tryst. So pleased with how this one turned out!! Great job , I love it so much! Off to buy this one..love it!